These chocolate bars are amazing. 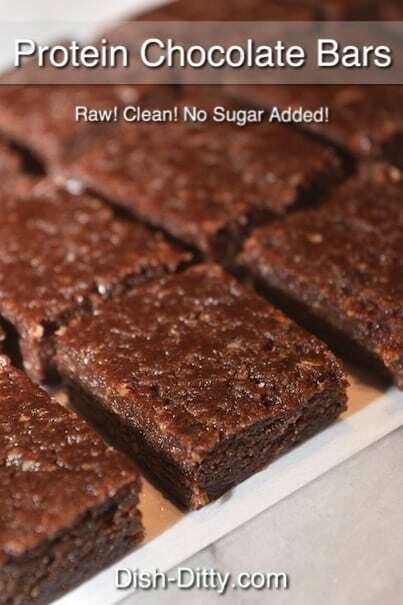 They are made from a few clean ingredients, have no sugar other than what’s in the dates, and are packed with clean energy and protein. 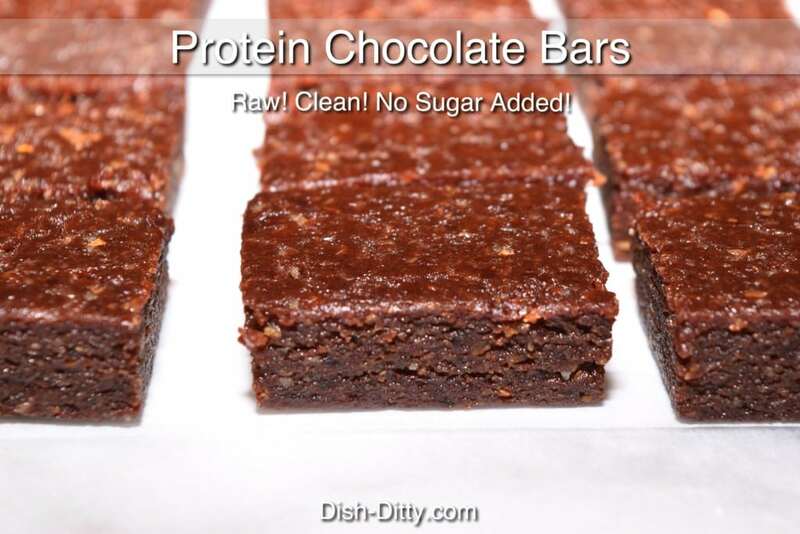 I have become addicted to these bars as they are perfect for that chocolate craving when trying to kick that sugar habit. I’ve been experimenting and making different versions of these bars. These are definitely a clear winner. Top them with crushed walnuts to make them. Combine all ingredients in a food process and process on low for 1 minute. Scrape the bowl and process on high for about 2 minutes. Scrape down the bowl again, and process for about 3 minutes. Line a 9x13 inch pan with parchment paper. Press mixture into pan. Make sure it's pressed down tightly. Use metal measuring cup to help press down. If desired, sprinkle with chopped walnuts and press down. Refrigerate for at least 2 hours. Cut into bars. 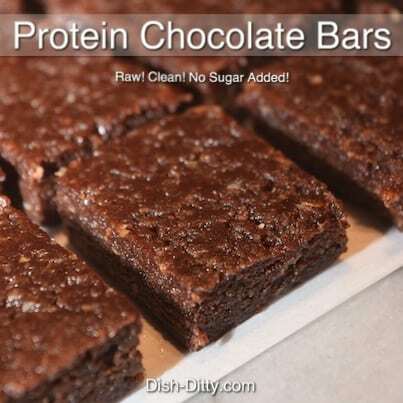 1 Reply to "Healthy Raw Protein Chocolate Bars Recipe"